The ordinance makes instant triple talaq a criminal offence which in the eyes of law does not exist. The present ordinance, however, includes amendments that still fail to bring sanity in what is otherwise a completely illogical legislation from the beginning. A Muslim man can be jailed for up to three years along with at the instance of the wife or a blood/marital relative of the wife, but the ordinance has failed to define blood and marital relatives and cannot be taken to mean only primary relatives. This provision has the potential to destroy a marriage in case a jealous relative makes a false complaint. Further, the magistrate will grant bail only after hearing the wife. This provision has far-reaching consequences for in granting of bail, there is no provision that victim shall be heard. The man shall only be given bail on the conditions imposed by the wife. Generally, bail is granted on the satisfaction of the judge that the accused shall not influence witnesses, shall not disappear and shall not tamper with evidence. Attaching conditions to the bail like payment of money, etc., at FIR stage takes away the presumption of innocence and is contrary to the settled principles of law. Moreover, since Section 498A of the Indian Penal Code, Domestic Violence Act and Dowry Prohibition Act already apply to Muslims, there was as such then no need of having an additional law to “protect” only Muslim women. The menace of dowry equally plagues all women, irrespective of caste, class, and religion. The ordinance also provides for “subsistence allowance” to the wife. Under the Indian law, subsistence allowance is a term used mostly in service jurisprudence, especially in laws relating to workmen. The usage of the term underlines the subjugation of the wife in the thought process of the law-makers. Further, if the husband is in jail, how will he be able to provide a “subsistence allowance” over and above the maintenance that he has to provide under other laws. The triple talaq ordinance is yet another one in the list arbitrary ordinances or executive decisions. These reflect poorly on a majority government that has time and again failed to get the legislation passed in Parliament. Articles 123 (President) and 213 (Governor) of the Constitution permit the President to issue ordinances if they are satisfied that "circumstances exist… which render [them] necessary... to take immediate action". Article 123 can only be invoked when Parliament is not in session, and it requires the satisfaction of the President that circumstances exist which render it necessary for immediate action. The question that arises is what was the immediate necessity for such an ordinance? 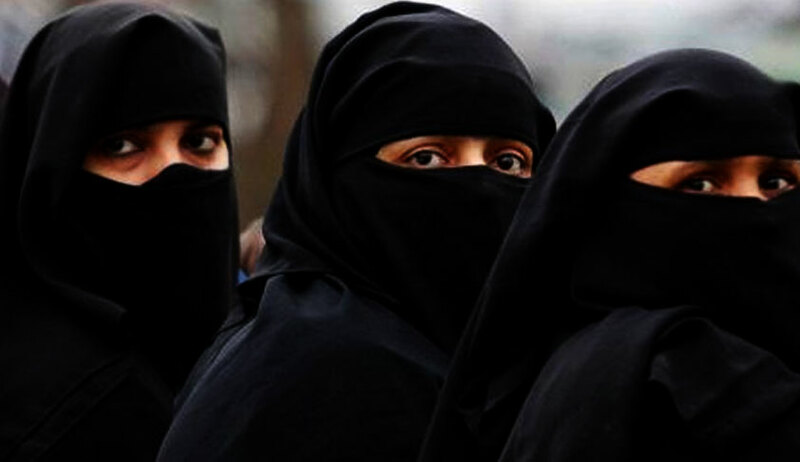 The Law Minister, while tabling the Bill, stated in the Lok Sabha that there have been 66 cases of triple talaq after the Shayra Bano judgment of the Supreme Court in July last year. In a data published before the judgment, the percentage of women aggrieved by triple talaq was merely 0.2%. Even the Supreme Court in its much-celebrated judgment noted that incidents of triple talaq were negligible. The triple talaq ordinance merely serves a political end. Criminalising a civil act, which after the judgment of the Supreme Court is non est, is akin to playing fraud on the Parliament and the people. In T. Venkata Reddy v. State of Andhra Pradesh, the court held that the power of making ordinances is a legislative action so the same can be challenged on the same grounds as those required to challenge an act of Parliament. Therefore, the present ordinance can also be challenged on the ground that it is malafide and reasonable nexus. Last year, the Supreme Court, in Krishna Kumar Singh v. State of Bihar, observed that for far too long, the power to make ordinances has been abused to subvert the democratic process. According to Justice Chandrachud, the authority to issue ordinances is not an absolute entrustment, but is “conditional upon a satisfaction that circumstances exist rendering it necessary to take immediate action”. In other words, ordinances are not immune from judicial challenge. The Constitution is clear on the principle of separation of power. To make criminal an otherwise civil act through an ordinance is an abuse of power committed by the executive. The executive’s power to issue ordinances, therefore, goes against this general grain of command; for it acts neither as a check nor as a balance on the authority exercised by the other branches of government. The ordinance is arbitrary and unnecessary. Bringing a draconian, illogical and vague legislation through the route of ordinance shows a lack of respect for Parliament and the people whose faith lies in India’s secular Constitution. There is no emergent situation that justifies the ordinance. To create a penal offence through a constitutional provision that is supposed to be used sparingly and in an emergency situation merely weakens a parliamentary democracy for it circumvents both parliamentary process and democratic checks. It is time we strengthen our democratic credentials and not slowly erode them.